The living room like any other rooms in your home has to be well kept with a superb look. The living room is the first room visitors settle in and notice when they enter a home. 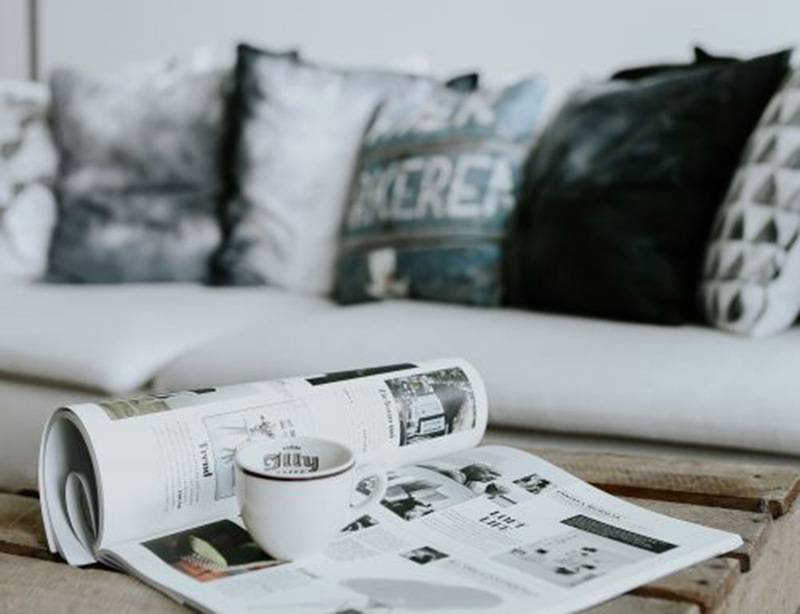 While you might not focus so much on rooms like your bedroom, it’s very important that your living room’s interior looks elegant and stylish.With just a few and simple tricks, you can upgrade your living into a cozy and modern look. Even when on a budget, a few changes can make a huge difference. Here are some ways to upgrade your living room with just a few touches. Accessories like cushions and cushion covers can be changed every once in a while. Have a selection of cushion colors of different colors that blend with the color palette of your living room walls and furniture. With just a change of covers, you give your living room the appearance of a cozy, luxurious five-star hotel.Cushions are available in different sizes, shapes, and textures and you can switch from one to the next every time you need a change. Most people practice DIY to cut on costs and they end up with a refreshing look that is unimaginable. Put up some blinds to gorgeous and bright colored blinds on your windows. Blinds come in many different designs, and types, but are available at a reasonable cost. Find the best blinds for your living room for protection from sunlight as well as to accentuate your living room. Incorporate chandeliers for a modern look and design. Different designs of chandeliers and lighting fixtures are available that will completely change the look of your living room. Some designs brighten up a room while others make it look dull, so make your pick wisely. Glass and metallic designs give the room a touch of elegance and style. Find chandeliers with a unique architectural design that brings out the beauty of the room when the lights are on. This can be a good look, especially for evening and night events. Wall hanging and paintings are a great way to revamp your living room. You can opt to buy authentic pieces of art or create a gallery wall in your living room. However, be careful not to fill your entire wall with pictures and paintings. Select a few family pictures and include a family tree on one of the blank walls. The green color brings life into the room. Having houseplants is a great way to transform the interior of your living room. Depending on your preference, you can either choose large plants or small potted plants or find a strategic point on which to hang them. Large plants would look best when placed on the edge of a room. Plants add colour and texture, and psychologists have shown that having them in the home actually makes you happier! Even if you have a minimalist home and don't like lots of fussy accessories, plants can add interest and make the place look homely. Whether you are working with a large area or small living room it is possible to upgrade it making it look more elegant and welcoming. Revamping your living room does not have to be a complicated or costly task. A few touches like moving sofa positions and changing the layout is enough to make it look new.